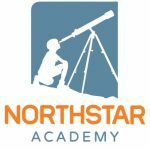 At Northstar we promote educational excellence and career opportunities for students with disabilities who have academic, physical, or social challenges. Our goal is to allow each child the opportunity to reach his or her potential and to become successful educationally, socially and as contributing members of society. We are a K-12 day school serving 12 of the 13 IDEA-identified disabilities, and are very successful partly because of our Lindamood-Bell learning processes, state-of-the-art technology for assisting with learning, custom-designed Social Skills Program, "normal" school experience including sports, clubs and other extracurricular activities and a strong Transition Program for preparing students for post-secondary options.